Congratulations to Michael who won a Countdown To Disney. Thanks to everyone who took the time to enter and be sure to follow me on Twitter and Facebook to hear about more free giveaways throughout 2016! Recently I had the pleasure of reviewing Creative Countdown’s Countdown To Disney. If you aren’t familiar with this product, this fabulous countdown allows you to “Savor the Suspense” as you tear off a page each day getting just a little bit closer to that wonderful Disney magic! Creative Countdown is the incredible company launched in 2012 by two entrepreneurial moms – Amy Gamber and Joanie Hickey. Their company gives people a fun and unique way to countdown to some of the most memorable moments of their lives such as a graduation, a wedding, the birth of a child, or a magical Walt Disney World vacation. 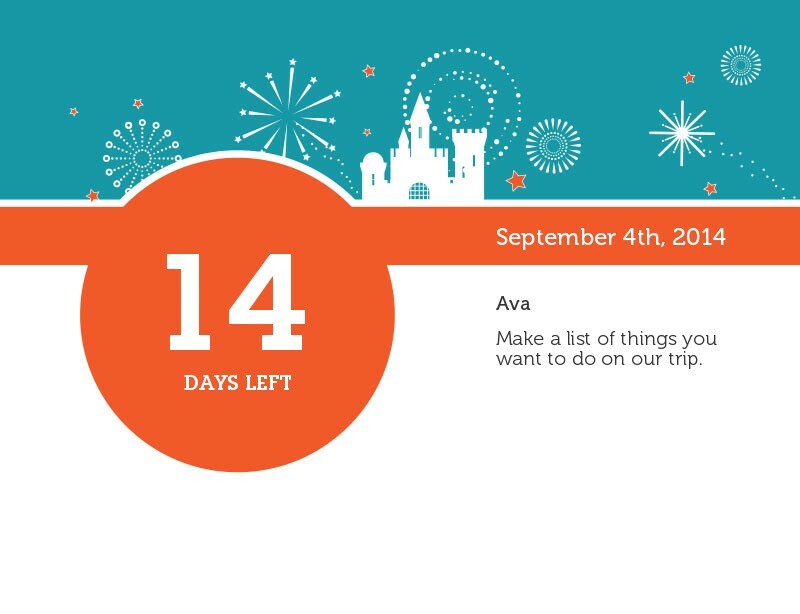 Through their website, Creative Countdown allows customers the ability to customize one of their many countdown designs with daily personalized messages. For my review, I was able to go on to the Creative Countdown site and customize one of the countdowns for my Summer 2016 Walt Disney World Family Vacation. I added messages to remind my family to book advanced dining reservations, to create our touring plans, to book Fastpass+ reservations, to customize our MagicBands, to check in online, and more. For a planner like myself, Creative Countdown is a dream come true! When my personalized Countdown To Disney arrived, it was even better that I had hoped. The quality in both the printing and the binding is outstanding. My family and I will love having this daily reminder of how close we are getting to our magical Walt Disney World vacation! Creative Countdowns are available for purchase on CreativeCountdown.com. They offer a variety of styles of countdowns including standard tear-off, personalized tear off, personalized flip stand, and personalized email. 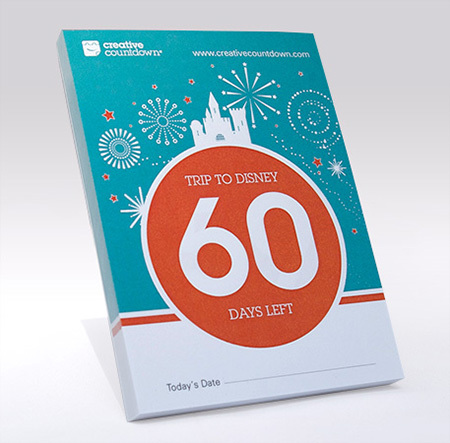 The standard tear-off 60 day Countdown To Disney is $9.95. The personalized tear-off countdown starts at $19.95 for 30 pages and additional pages can be added for $0.25 each. The personalized tear-off countdowns can hold up to 400 pages. There are 29 different designs available including options for holidays, weddings, births, graduations, vacations, and more. If you need help personalizing your countdown, they have hundreds of quick-fill entries available that you can use and edit. Creative Countdowns are a wonderful gift idea for friends and family!